I love getting facials. It's the one service that I feel like I get my money's worth. The treatment is enjoyable and relaxing, and I can take home the results. LOL But it does get pricey. So here's my trick to getting as close to a spa facial without breaking the bank*. STEAM for 10 minutes. Get one here. This is the most important step. If you open up your pores, all of the cleansing and masking will react better on the skin and give you better results. I use my little travel clothing steamer as a face steamer. I fill it up, place it on my bathroom counter, and sit about 1.5 feet away from it You totally can opt for a hot shower instead, but I like sitting in front of traditional steam. Please be careful! I constantly move my face around (while it's on the counter) so I don't get burned, and I sit at least 1.5 feet away from the nozzle. Don't move this thing towards your face or body. Leave it on the counter flat. WASH & EXFOLIATE. I pour about a dime size portion of the Fresh Cleanser (get one here ) onto my Clarisonic (get one here) and scrub away. I use the "Sensitive" brush (comes in a pack of two), but I am still very careful of my sensitive spots such as my cheeks and upper lip. I usually go over those spots very quickly and scrub my nose and forehead a little longer. I would not recommend going longer than one round of the Clarisonic. You don't want to over-exfoliate. EXTRACT PORES- This step is completely optional and I won't go into details on how I do it. Get a whole set here on Amazon. I usually extract my nose and between my brows before I mask. Please be cautious of heavy pressure on your skin. 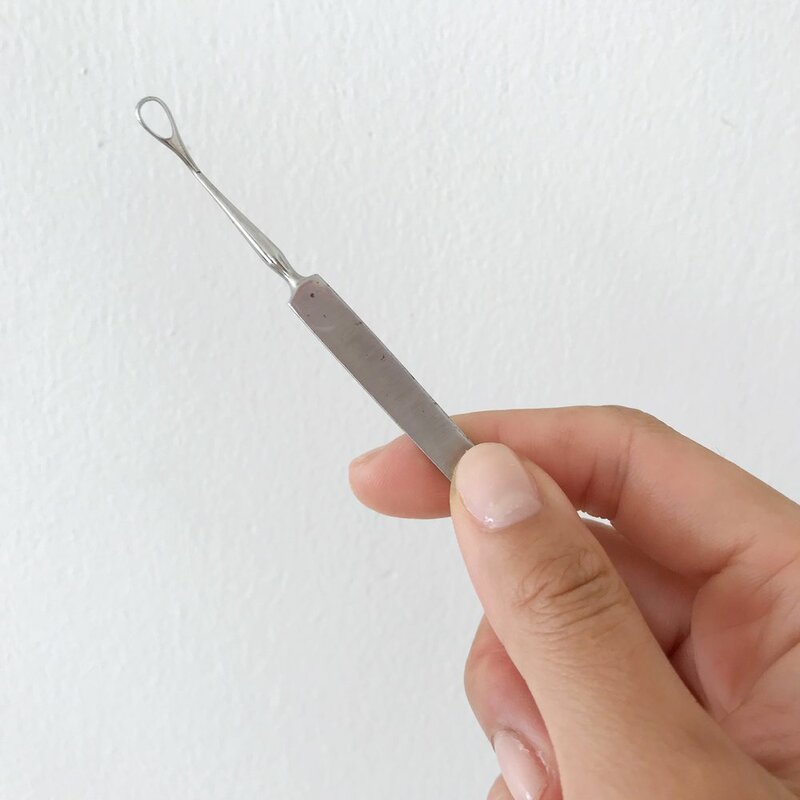 You don't want to "scrape" skin off and cause scarring using any tools. ACTIVE MASK- An "active" mask is a term I use for something that will "do something" for your skin- like a peel or a detox. This is why we get facials- to see results. 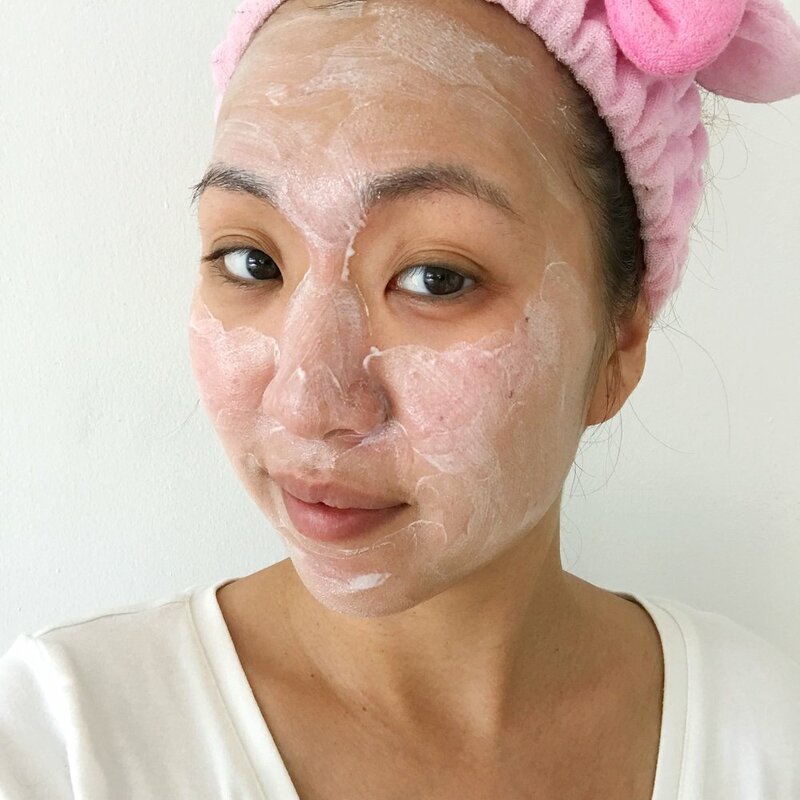 I picked Murad's Intensive-C Radiance Peel (get it here) for this facial. This little mask is pretty amazing and gives you beautiful results. This mask smooths and brightens your skin. We've also learned in the past that V-C (vitamin-c) help even out your complexion and helps fight free-radicals. This mask helps boosts the elasticity and also has Glycolic Acid to promote cell turnover. 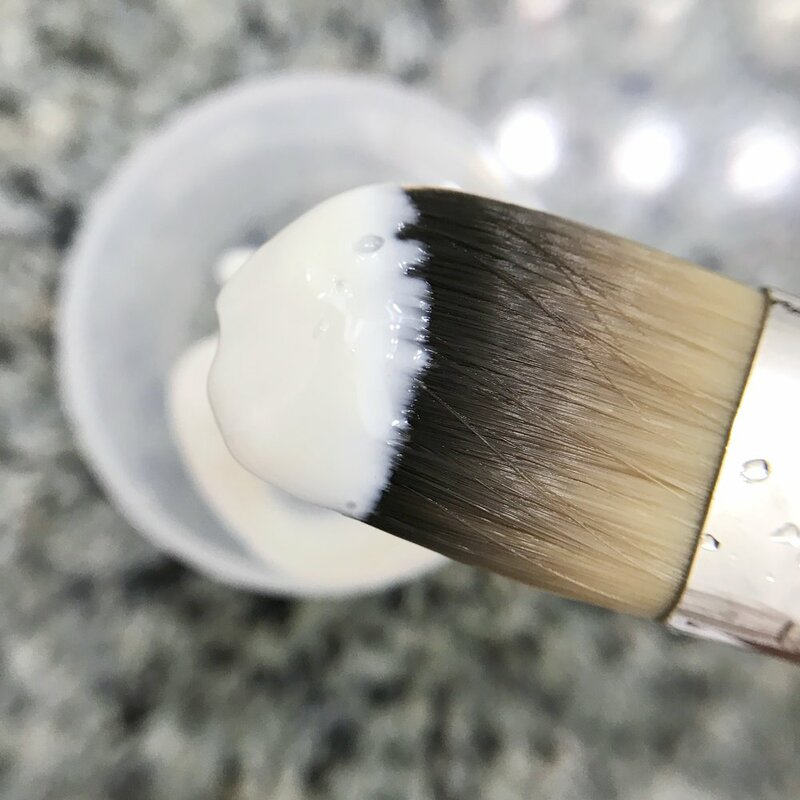 Use a wet brush to apply the product on sensitive areas. I'll usually apply the product straight on my forehead, nose, and chin. But for my cheeks and upper lip, I'll wet my brush completely then apply the product on those sensitive spots. The water helps dilute it a bit so it's not too intense. Apply this mask all over your face/neck and leave on for about 10 minutes. I love how tingly and cool the mask feels on my face. Rinse with warm water. If it gets too intense, (on a scale of 1-10, if it's past an 8) rinse it right away. SOOTHING MASK- I usually like to put on a soothing cucumber mask or a hydrating mask after an active one. This just give the skin time to calm down after all those intense treatments. 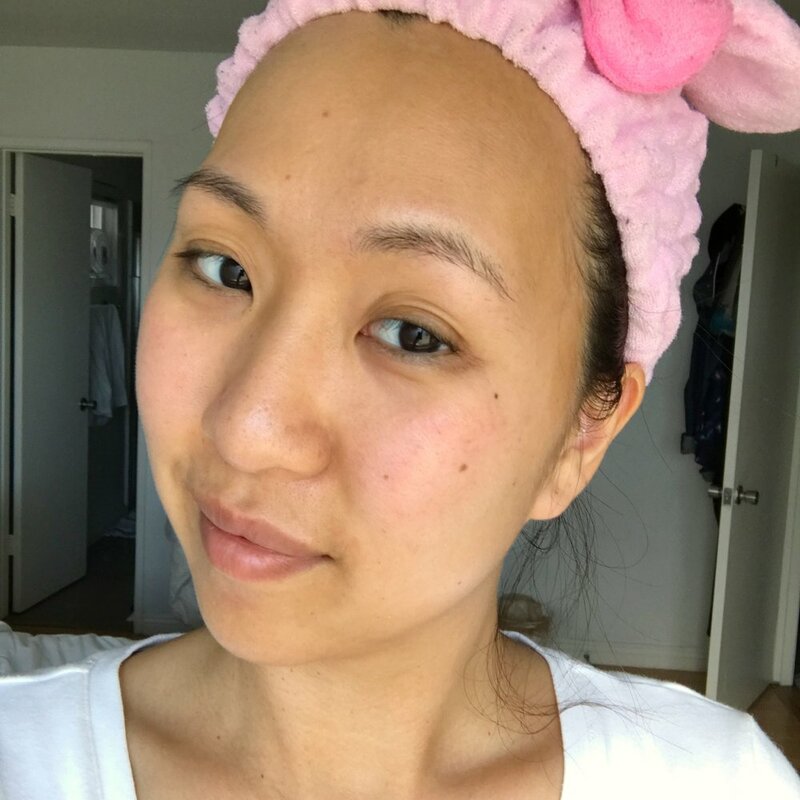 I love using the Korean sheet masks because they are convenient and fresh every time. I usually leave the mask on for about 15-20 minutes. You're welcome to leave them on longer. I love the MediHeal Mask- grab a whole pack of 10 here. SERUM & HYDRATE- Last but not least, after your soothing mask, apply a serum onto dry skin. I love the Pure Hyaluronic Acid (get it here). It really helps lock in the moisture from the mask and lotion all day. Just use about 3 drops (check out my Serums Blog Post to learn more). Then apply the lotion of your choice. I prefer the Kate Somerville Dry Skin Saver (grab it here) since my skin is on the drier side. But feel free to use whichever lotion you like the most. Facials are supposed to renew your skin and make it better. Give you skin time after your facial to breathe and to calm down again. I would recommend not applying any face makeup, except mascara, for the rest of the day. Don't ruin it by slathering on goops of foundation that will clog your pores afterward. Until next time my beauties. Stay beautiful! *Disclaimer: All these steps in this blog are what I do personally and not shown here as instructions. This blog is for your reference only. Following any steps in this blog will be taken at your own risk. Please be advised that products I use may not work on everybody. These are products I have tested on myself that I like. Before trying a new product, it's advised to do a patch-test on your skin. Winter's coming; which means a change in weather, which means a change in your skin's appearance. For me, it means death for my skin is coming! What the best way to save it? SERUMS. Remember to use in conjunction with a moisturizer! 3 is enough to cover my entire face and neck area too! Acid? ACID? No, it's not really "acid". Hyaluronic acid is a natural substance found in our body, mostly in our eyes and joints. It acts as a lubricant for our joints. It's also found in our skin and is able to attract and hold an extensive amount of moisture. 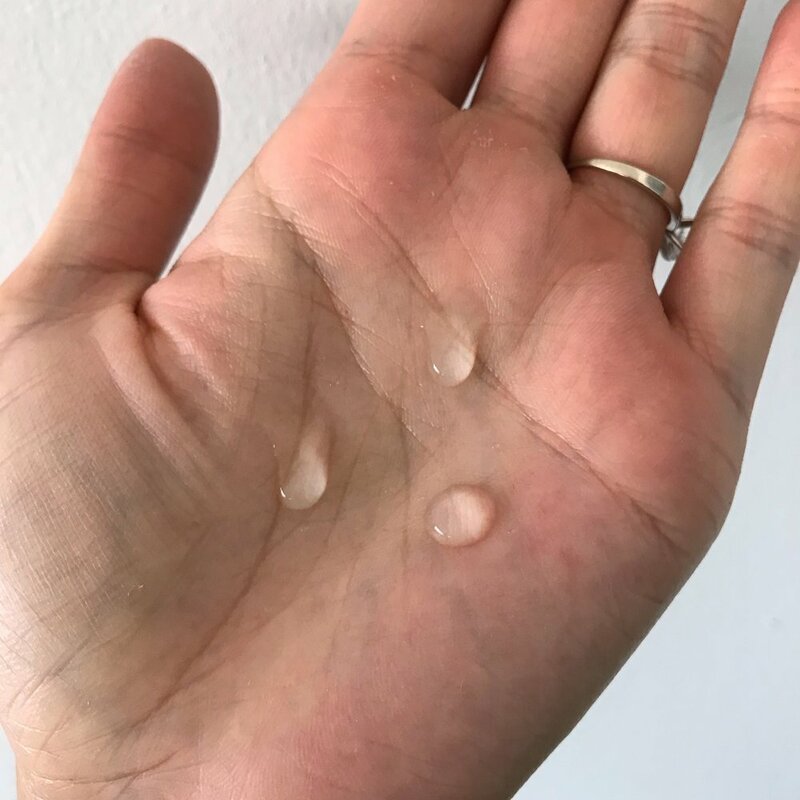 In short, as we age, our cell walls weaken and lose the ability to keep moisture. The more moisture we lose, the more wrinkly we get. That's why babies have supple and soft skin, and elderly people have drier, looser skin. So using hyaluronic acid (HA) will help create that suppleness and plumpness we are all missing. It is great for dry skin. Remember that this stuff does not work on its own. You must use it WITH a moisturizer (see my other post about my skin care steps here). 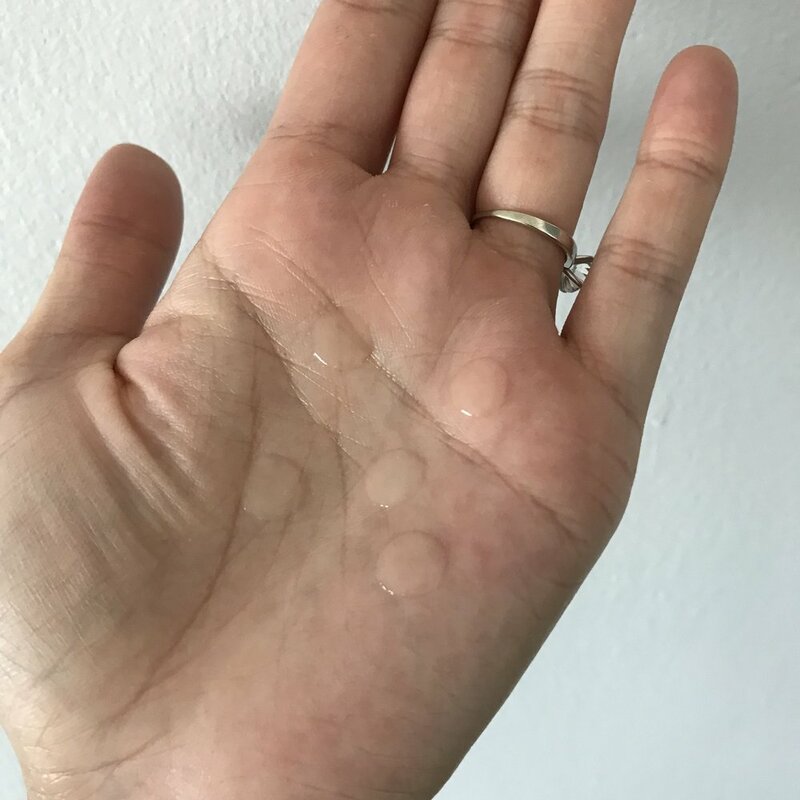 After toning, I drop 3 drops onto my palm and massage it into my face and neck. (It feels like diving into moisture heaven!). The little beads will kinda "pop". Then, I apply a face lotion. I've been favoring the Kate Sommerville Dry Skin Saver. If I feel uber dry, I'll wait for the HA to absorb, and then I'll apply another hydrating serum on my cheeks before I put on the face lotion. I tried it for a couple of weeks with my nighttime regimen. I found that using this has reduced my eczema by about 75%. My cheeks were less red and irritated. My face felt softer and plumper. I really really love the results. Tip: wait for everything to absorb before you go to sleep and rub it off on your pillow! I love that this stuff is all natural! Store in a cool and dry place. Vitamin C is an amazing thing for the skin. V-C is an antioxidant. Antioxidants protect the skin from free radicals. It's also an ingredient in collagen. Collagen binds cells together in order to give us stronger skin cells and more elasticity- thus, firmer skin. V-C also helps brighten and tone skin tone, while preventing breakouts. I added this serum into my morning regimen. After washing my face lightly, I'll use a cotton round to wipe it with witch hazel. Then, I'll drop about 5 drops into my hand and then massage it into my face and neck. I'll follow up with a moisturizer and sunscreen. After a couple of weeks of using both of these serums together, I'm really happy with the results. My eczema has been reduced. No more flare-ups. My skin is smoother and softer. The pigmentation around my mouth area has lessen dramatically. My face is almost the same color throughout. And I looove how plump my skin feels after the HA serum. Verdict: THIS STUFF IS AMAZING. Both products do exactly what they are suppose to and more! I totally recommend it for anyone needing a boost in their skin care. These products are more natural and more affordable than typical serums out there. Price: HA is about $15 for 2 oz and V-C is about $20 for 1 oz. I think it's completely worth it. Get it before winter comes too soon! Until next time, my beauties. Stay Golden.